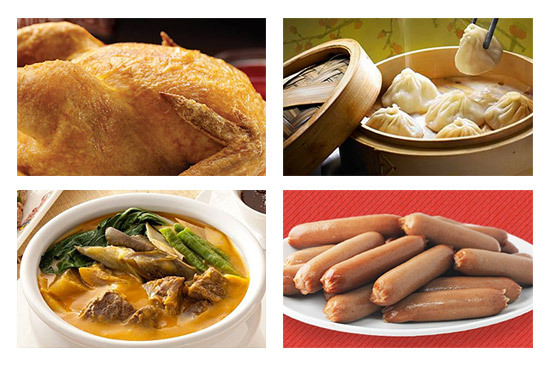 Free kare-kare, unlimited breakfast, 50% off xiao long bao, and more! (SPOT.ph) We’re reminding you about KFC’s spectacular weekend buffet. Plus, free kare-kare, unlimited coffee, complimentary hot sauce, cheaper chipper chicken, and more! 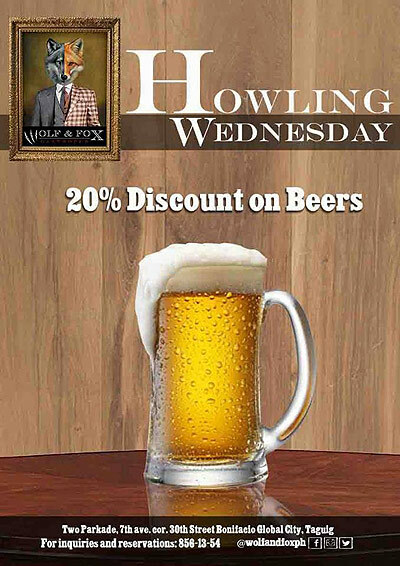 Get a 20% discount on beers when you visit Wolf & Fox Gastropub on Wednesdays. 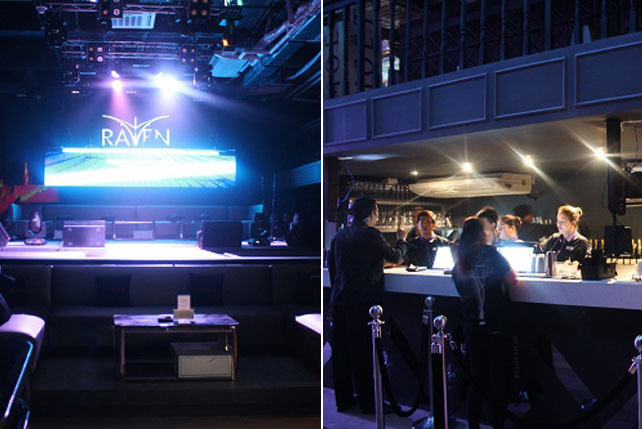 Wolf and Fox is at Two Parkade, 7th Avenue corner 30th Street, Bonifacio Global City. 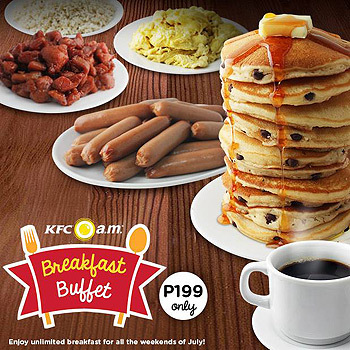 Just in case you forget, KFC is now offering unlimited breakfast all weekends of July for only P199. Click here for more details. Because you’ll be needing some caffeine to catch the games live, Malcolm’s Deli will be offering free unlimited coffee for the whole period of FIFA World Cup. The promo will end on July 13. Malcolm’s Deli is at G/F Fairways Tower, 5th corner McKinley Road, Bonifacio Global City. 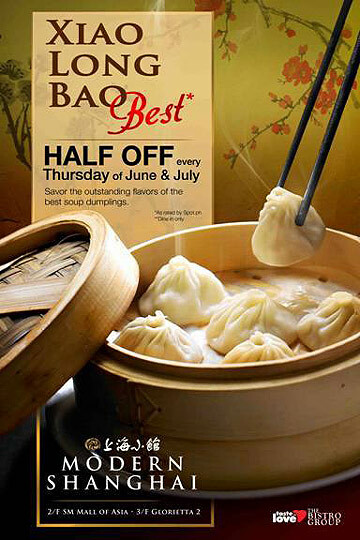 Every Thursday of June and July, Modern Shanghai is offering their bestselling soup dumplings for half price. Enjoy any of their lunch sets for only P295 and you can get your free nibbler and coffee. 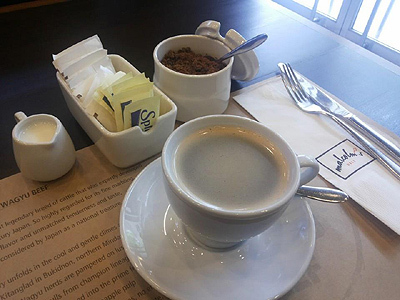 Il Ponticello is at Unit 203 2F Antel Corporate Center, 121 Valero Street, Salcedo Village, Makati City. 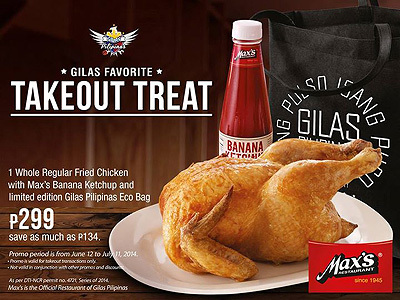 Save as much as P134 when you order a whole Regular Fried Chicken and Max’s Banana Ketchup for takeaway in the limited edition Gilas Pilipinas Eco Bag. The whole deal costs only P299. Promo is available until July 11 only. 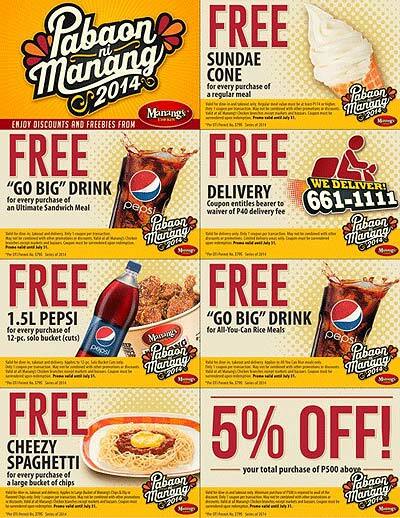 Print out these coupons (click here for a bigger image) to get free treats from Manang’s Chicken. 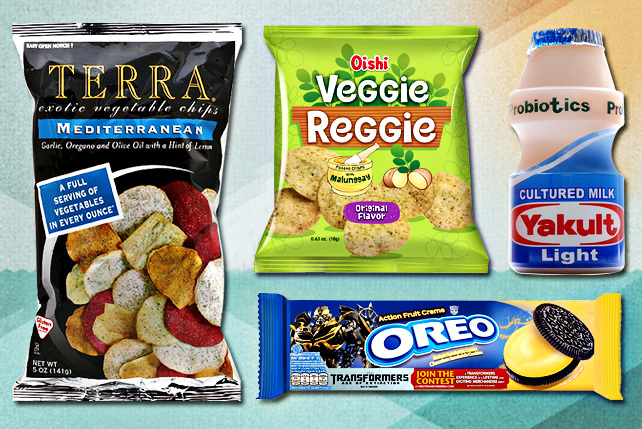 Only one coupon is allowed per transaction, but at least you get a little treat for a whole week. Promo is available only until July 31. 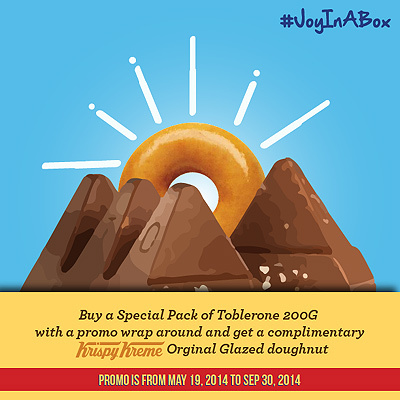 Buy a specially marked pack of Toblerone (200 grams) and you may redeem a complimentary Krispy Kreme Original Glazed Donut until September 30. Just present your receipt and Toblerone to the counter. 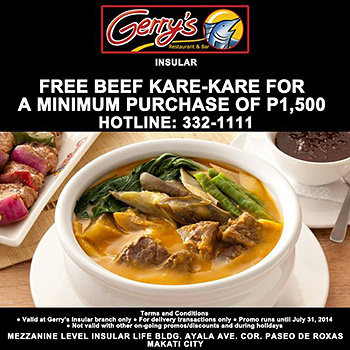 For a minimum delivery purchase of P1,500, you can get free beef kare-kare from Gerry’s Grill. Call their hotline at 332-1111. The promo is available until July 31 only. 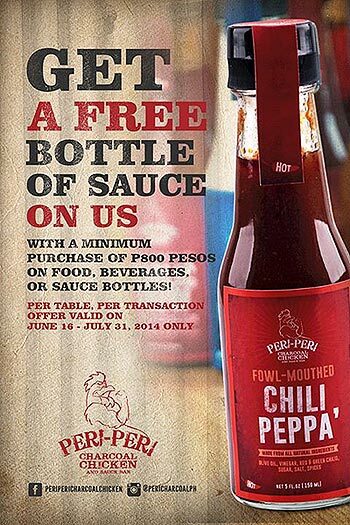 This chicken and sauce emporium is giving away a free bottle of one of their 12 signature sauces when you order something with a minimum worth of P800. Promo is valid until July 31. Peri-peri Charcoal Chicken is at 2/F New Promenade, Greenhills, San Juan.